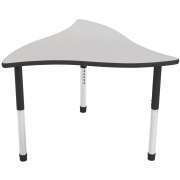 Collaboration tables have quickly become a staple of the 21st century classroom. 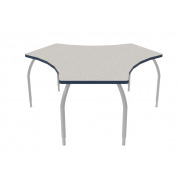 This isn’t just some passing fad that will be gone in a year or two, tables that are designed for flexibility and teamwork make a tremendous difference when you are trying to help students develop the skills they need in the modern world. 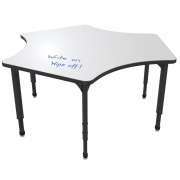 Collaborative tables are a gateway to a whole new type of learning in your classroom. 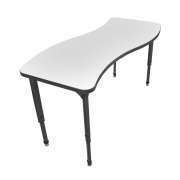 What is a collaborative table? 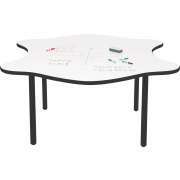 It is a table that is designed for students to work together comfortably. 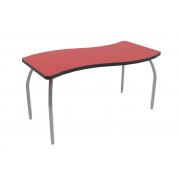 Most tables in this style come in shapes that can fit together in a number of modular configurations, in order to accommodate learning groups of various sizes. 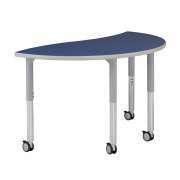 If you are interested in developing a classroom where students can share ideas and innovate together, collaboration tables are a great way to get there. 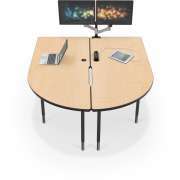 What can I use collaboration tables for? 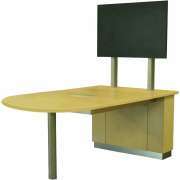 Group study tables can be used for anything you do at traditional classroom tables, and more. Students can sit around them and work on worksheets or projects, or turn toward the teacher who is giving a lesson at the front of the room. 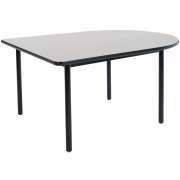 Additionally, they can put the tables together to create larger tables, where they can work in bigger groups. This is great for teachers who like to vary the activities over the course of a lesson. It allows educators to work with groups of students of any size comfortably, and to assign group work in whichever way works best, without worrying about how to arrange the space. 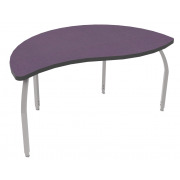 What are the advantages of collaboration tables? 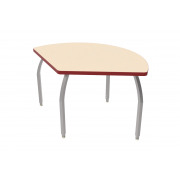 The main thing that distinguishes group study tables from traditional activity tables is that they have modular shapes. While you might be able to push together a few classroom tables in a pinch, they might not fit together perfectly, and they might not give each student enough personal space. 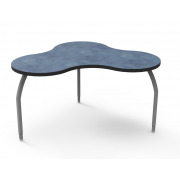 Collaborative tables are specifically designed to fit together in many different ways. Many of them come in cool modern shapes, and allow students to have clear personal space, while they are working together in groups. Sometimes you can even choose different shapes from a series that will fit together as well. 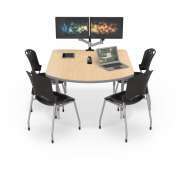 What should I look for in a collaborative table? 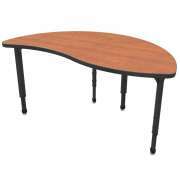 There are certain considerations that should be made in any school furniture purchase, such as budget and quality, but some criteria are unique to collaborative tables. First of all, if at all possible, you should definitely choose models that have locking casters. It is great to have flexibility with different shapes, but casters take things to a whole new level. 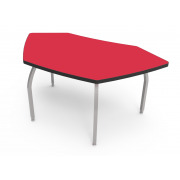 They allow the tables to be effortlessly rolled into position at a moment’s notice, without wasting precious class time or causing undue strain. It is important to remember to lock them once they reach the desired position, in order to ensure that tables won’t be rolling around when students are working. In addition to choosing models with casters, educators should weigh the advantages of the shapes they are considering for their specific space and needs before making a purchase. 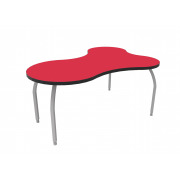 You need to talk to an expert to figure out how many tables of a specific shape will fit in the allotted area that you have. This is a bit more complicated than it is with a standard shape, but it is well worth the effort to enjoy all of the unique advantages. Another related criteria should be color. 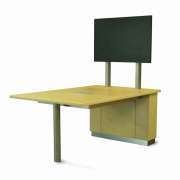 You want to ensure that the colors you choose will integrate harmoniously into your current or future classroom decor, and with the other furniture. 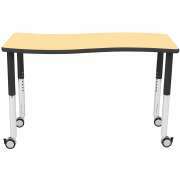 Collaboration tables are a worthwhile investment for every school that wants to keep education relevant to today’s students. They allow for a tremendous amount of flexibility, creativity, and collaboration in any learning space, and those are certainly values the modern educator should get behind.